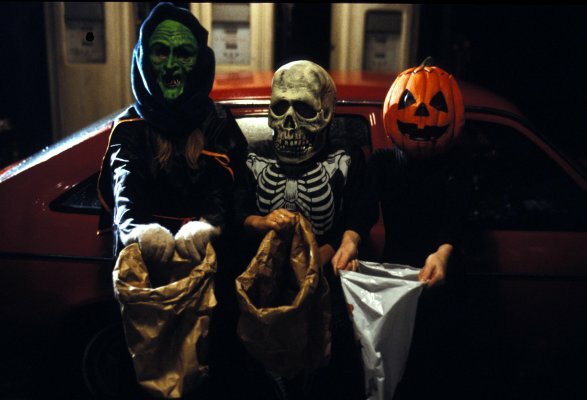 HALLOWEEN III: SEASON OF THE WITCH: A Post-Modern Detour On The Slasher Sequel Highway – Schlockmania! 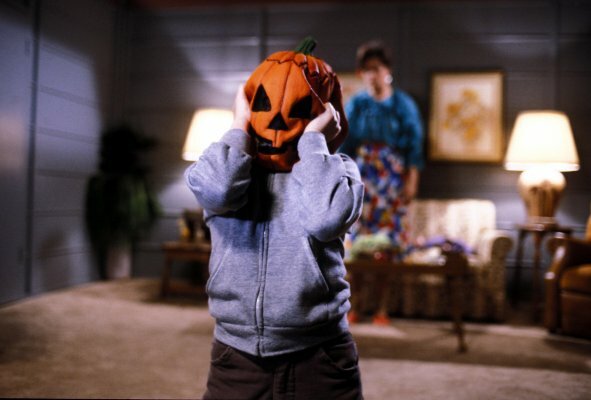 For a long time, Halloween III: Season Of The Witch was the red-headed stepchild of the Halloween series. The main reason for this long-standing rejection is its curious lack of Michael Myers or any other elements of the prior Halloween films. This ensured that was rejected out of hand by slasher addicts for denying them a knife-kill fix and was regarded as a curious footnote to the series for many years. However, time has been kind to this unorthodox entry, much more so than a lot of “official” Halloween films, and it has a built a small but devoted cult. It deserves a bigger audience within the horror fanbase because it’s easily one of the most unusual and imaginative horror films that a major studio released during the 1980’s. It is also post-modern in its approach to the genre in a way that most horror filmmakers wouldn’t think of trying for another decade at least, using elements of its plot to satirical ends. But first, a bit of history: Halloween III was born of an obscure compromise between John Carpenter and Universal Studios: basically, they wanted another Halloween movie and he didn’t want to do another Michael Myers story. Carpenter pitched the idea of making a yearly movie under the Halloween banner that would do away with slasher themes and instead explore the idea of the Hallo ween holiday itself. 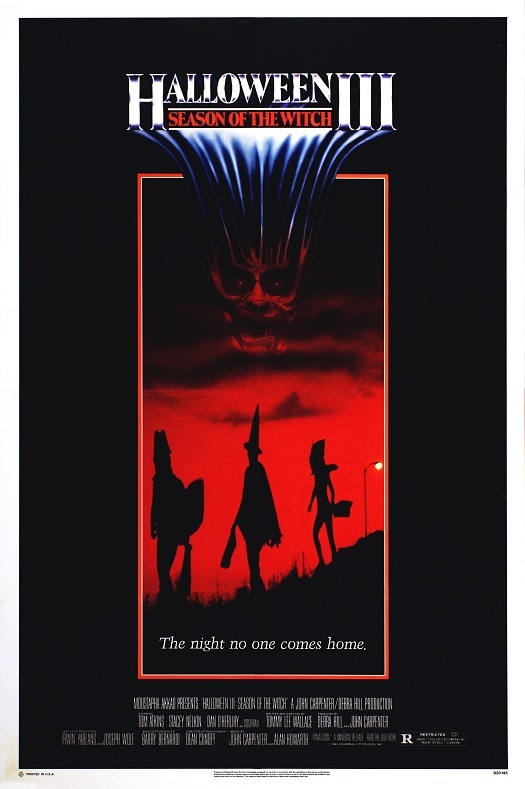 Unfortunately for both parties, the disconnect between the movie and its Halloween moniker caused confusion and ensured that died a quick death at the box office. This is a shame because Halloween III not only offers a unique meditation on the titular holiday but also fleshes out with some unique elements of satire and black comedy. 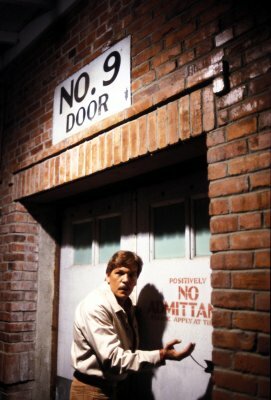 The unusual plot begins with a man grasping a Halloween mask being brought to a hospital, where he is tended to by Dr Dan Challis (genre fave Tom Atkins). The man mumbles “They’re going to kill us all!” and is murdered by an attacker in a nice suit who commits a fiery suicide moments later. Challis can’t shake these bizarre events and teams up with Ellie Grimbridge (Stacey Nelkin), the daughter of the murdered patient, to investigate the man’s death. 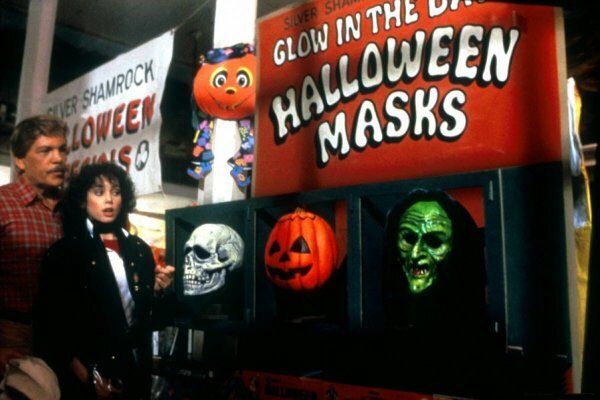 Their one clue is the Halloween mask he was clutching, an item manufactured by Silver Shamrock company. They travel to a small California town where the company’s headquarters is located, a ghostly “company town” owned by the mysterious Conal Cochran (Dan O’Herlihy). What they discover combines Halloween masks, Stonehenge and a diabolical plot inspired by the ancient meaning of Halloween. It’s easy to understand why this film baffled people expecting another chapter in the slash-’em-up adventures of Michael Myers but if taken on its own terms, Halloween III is a macabre little gem. The storyline is full of surprises all the way through and Wallace paces the plot nicely, punctuating it with all manner of inventive setpieces that involve demises that are gruesome yet totally imaginative. Some critics gripe about the film’s denouement, which gets really out there, but the film has gone so far down the rabbit hole by this point that it’s hard to begrudge Wallace his bizarre flights of fancy. Others will be delighted by its thoroughly original plot and its ability to mix so many diverse inspirations for terror into one eccentric yet compelling storyline. Wallace also does well in the director’s chair: the influence of pal/producer John Carpenter obviously rubbed off on him because he uses the Cinemascope frame well, composing shots with skill and deploying a moving camera to tense effect. In the latter department, he was aided greatly by sterling work from regular Carpenter cinematographer Dean Cundey, whose deft manipulation of shadow assures that Halloween III has a look on par with any Carpenter efforts from the same era. 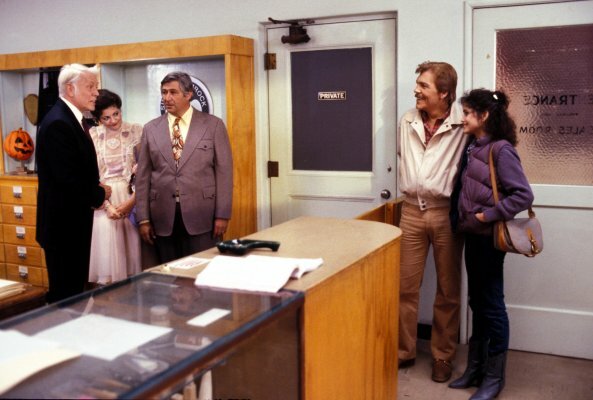 However, Wallace’s work isn’t all imitation: he weaves in comedy well, going for over-the-top satire with his depictions of some of the other salesmen working with Silver Shamrock (most notably “Buddy Kupfer” and his family). In fact, Wallace’s work shows equal comfort with scares and comedy, allowing him to blend the two to great effect. The setpieces are usually preceded by a bit of light comedy that softens the viewer so Wallace can catch them off-guard with a big shock. Without getting into spoilers, a scene set in a test room at the Silver Shamrock facility during the latter third of the film offers a great example of how a clever filmmaker can twist what seems like a comedic scene into scary territory. When the time comes for a horrific payoff to a scene, Wallace isn’t afraid to show a gleeful mean streak and he deploys some truly macabre Tom Burman makeup effects that will stick with viewers after the end credits. Wallace also gets good performances from a cast that eschews any stars in favor of an interesting cast of familiar character faces. Atkins, always a fave with horror fans for films like Night Of The Creeps, enjoys a rare lead role and tackles it with confidence. Whether the scene is comedic or suspenseful, he plays it in a subtle manner that makes it all look effortless – and his strong work goes a long way towards keeping the audience involved in the eccentric plotline. Nelkin is quite fetching as his leading lady and shows some nice comedic timing in spots while Ralph Strait offers an amusing comedic presence as hapless salesman Buddy Kupfer. That said, the scene-stealer in the acting department is O’Herlihy as Conal Cochran. He gives a rich, subtle performance that blends old-world charm with an undercurrent of menace. Both of those elements come to the fore during a monologue he delivers near the finale – and his approach seals the film’s oddball blend of horror and black comedy elements. Before closing, it’s worth mentioning that there is another aspect of Halloween III that seldom gets commented upon: the satire lurking beneath its scares. 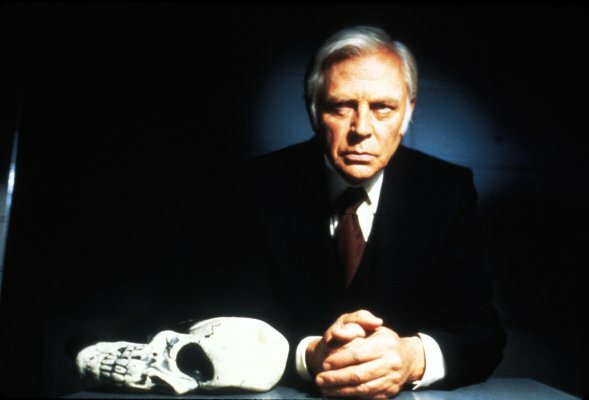 Once Silver Shamrock rears its head in the plot, the film uses it to poke fun at the sinister nature of corporations. 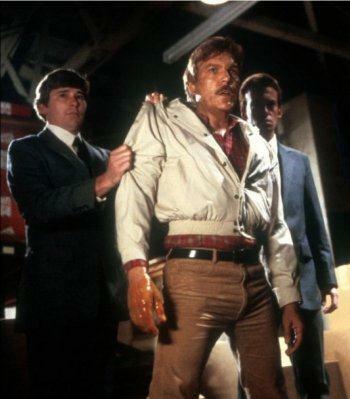 Cochran is portrayed as the archetypal businessman who uses phony charm to mask a sinister agenda and it’s worth noting that the violent henchmen are all perfectly dressed in suits (killer businessmen, in other words). Most significantly, Cochran’s sinister plot involves taking advantage of the public’s consumerist tendencies and uses commercials to break down their resistance. This kind of satire was very forward-thinking for an early 1980’s film, particularly given the “greed is good” turn that life in the U.S. took during that decade. In short, Halloween III: Season Of The Witch might be confounding if viewed as a sequel but this is merely an error of marketing and labeling. It’s an imaginative work that blends shocks and satire in a very distinctive way and it deserves to be taken on its own terms.